After Justin Bieber stormed off the stage at a concert in Manchester, UK, allegedly because his fans were screaming too much in between his sets, the pop star undoubtedly needed an image boost. Luckily, he got just that. On November 4, Justin Bieber surprised patrons of a Toronto pub with an impromptu performance, reports Rolling Stone. The Canadian Broadcasting Company reported that Bieber, who was back in his native Canada after the overseas leg of his Purpose Tour, popped into Fifth Pubhouse in Toronto's Entertainment District. The "Sorry" singer only stopped into the bar to grab a pint and watch the Toronto Raptor's game (see, he's just one of the guys! ), but witnesses say when he spotted a piano in the corner, he asked the employees if he could play. They obliged, and Justin Bieber got to work playing covers of songs like the Beatles' "Let It Be," OneRepublic's "Apologize," and Beethoven's "Fur Elise." Audience members were delighted when he dived into his own song, "Sorry" and one can be heard in video footage of his performance saying, "so good!" 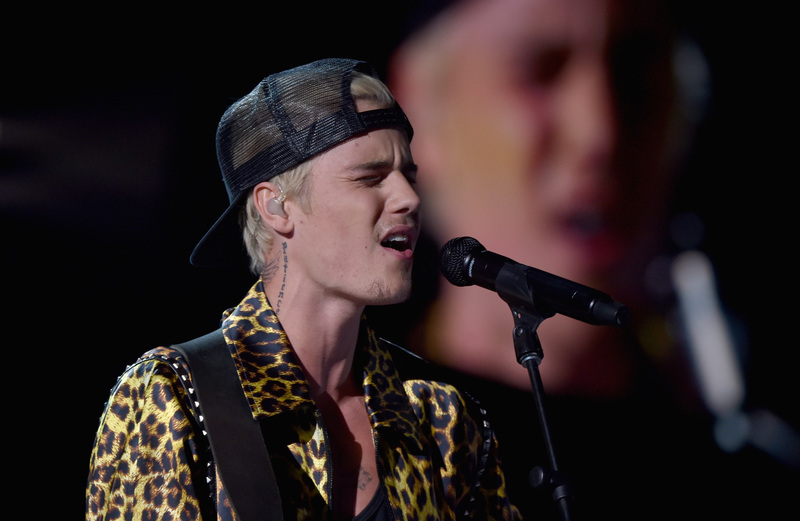 Bieber's performance may have been candid, but his vocal chords were prepped as he soared up and down the scales. But even though he did his best to out sing everybody in the pub, he seems to have just been acting like an ordinary patron, chatting up the bartender and watching the game. The Irish bartender, Dale McDermott — who seems to have become a Belieber if he wasn't already — tweeted that Bieber was "a very genuine guy and was intrigued at my move to Toronto. He wished me all the best and even mimicked my accent! Nice experience." It's nice to know that even though Biebs has done some questionable things (remember when he said he hoped Anne Frank would have been a Belieber? ), he can still chill out, go to his local pub for a pint, and quietly play some piano for people eager to hear good music. Keep it up, Bieber.